Anagnostopoulos, G., Radiation Sources at Jupiter: New Space-Based Observational Results (invited), 11th Conference of Union of Hellenic Physicists, Larissa, Greece, 2006. Anagnostopoulos, G., I. Louri, P. Marhavilas, G. Fronis, and E. Sarris, Ions of Jovian Origin in the Inner Heliosphere? ACE and Ulysses Observations During Days 290/2003-90/2004, Second Solar Orbiter Workshop, Athens, Greece, Oct. 16-20, 2006, Abstract #P.06. Page 64 in Abstract and Program Book (3.5 MB PDF file); also to be published by ESA (Spec. Pub. SP-641). Lario, D., and E. C. Roelof, Differences and Similarities between the First and Third Ulysses Southern High-Latitude Excursions: Energetic Particle Observations, The Heliospheric Network, Heliophysics Missions Joint Science Workshop, Oxnard, CA, Nov. 6-10, 2006. Pick, M., A. Vourlidas, and D. Lario, Multi-Spacecraft Study of the Halo CME Event on 24 September 2001 and of the Associated SEP Event, The Heliospheric Network, Heliophysics Missions Joint Science Workshop, Oxnard, CA, Nov. 6-10, 2006. Malandraki, O. E., D. Lario, L. J. Lanzerotti, and E. T. Sarris, October/November 2003 ICMEs: ACE/EPAM Solar Energetic Particle Observations, European Geosciences Union, General Assembly 2005, Vienna, Austria, 24-29 April, 2005; Geophysical Research Abstracts, 7, 01040, 2005, Sref-ID: 1607-7962/gra/EGU05-A-01040. Abstract (PDF file). Anagnostopoulos, G. C., I. N. Karanikola, P. Marhavilas, E. T. Sarris, and A. Balogh, The Structure of the Jovian Magnetopause Boundary Layer of Energetic Ions and Electrons and Its Implications on 10/5 Hour Periodicities: Ulysses, Voyager 1 and 2, and Pioneer 11 Observations, 2004 COSPAR Meeting, Paris. Haggerty, D. K., and E. C. Roelof, A Quantitative Measure of Strong Pitch-Angle Anisotropies, 2004 COSPAR Meeting, Paris (E2.3-0088-04). Haggerty, D. K., and E. C. Roelof, Effectiveness of Anti-Coincidence in Electron Detectors: Implications for Beam-like Electron Events, 2004 COSPAR Meeting, Paris (E2.3-0089-04). Haggerty, D. K., G. C. Ho, E. C. Roelof, and R. E. Gold, Qualitative Comparison of ACE/EPAM from Different Detector Heads: Implications for NOAA RTSW Users, 2004 COSPAR Meeting, Paris (E2.3-0090-04). Lario, D., Energetic Particle Response to ICMEs at Low and High Heliographic Latitudes, AGU Chapman Conference on Solar Energetic Plasmas and Particles, Turku, Finland, 2-6 August, 2004. Lario, D., and H. V. Cane, CME Associated Energetic Particles, International Space Science Institute Workshop on Coronal Mass Ejections, Bern, Switzerland, March 2004. Malandraki, O. E., E. T. Sarris and M. Pick, Energetic Particle Tracing of the Magnetic Topology of ICMEs During the ULYSSES Solar Maximum Polar Orbit, AGU Chapman Conference on Solar Energetic Plasmas and Particles, Turku, Finland, 2-6 August, 2004. Roelof, E. C., and D. Lario, Transverse Anisotropies of 40-90 MeV Solar Energetic Protons: A Re-interpretation, 2004 COSPAR Meeting, Paris (D1.2-0020-04). Roelof, E. C., Intensities of Energetic Neutral Atoms Produced by High-Energy Tails of Pickup Protons in the Solar Wind, 2004 COSPAR Meeting, Paris. Abstract. E. T. Sarris, O. E. Malandraki, C. G. Maclennan, and L. J. Lanzerotti, The Effect of the Large-Scale IMF Structure on the Formation of Solar Energetic Particle Reservoirs in the Heliosphere, 35th Committee on Space Research (COSPAR) Scientific Assembly, Paris, France, 18-25 July 2004. E. T. Sarris, O. E. Malandraki, and T. E. Sarris The Effect of the Large-Scale IMF Structure on the Decay Phase of Solar Energetic Electron Events, AGU Chapman Conference on Solar Energetic Plasmas and Particles, Turku, Finland, 2-6 August, 2004. 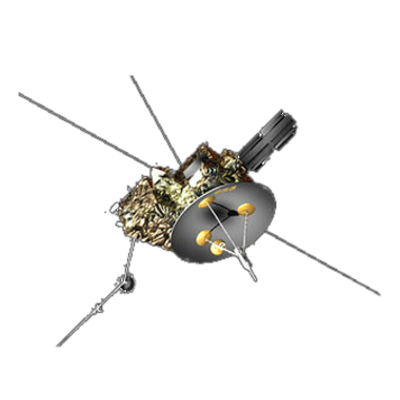 Anagnostopoulos, G. C., A New Region in the Jovian Magnetosphere and Its Particle Sources: Ulysses, Pioneer-11, and Voyager-1/2 Observations Compared, EGS-AGU-EUG Joint Assembly, Nice, France, 2003. Anagnostopoulos, G. C., and I. Karanikola, The Large Scale Boundary Electron Layer and the ~10 H Periodic Variation of Energetic Electron Measurements in the Duskside Jovian Magnetosphere, EGS-AGU-EUG Joint Assembly, Nice, France, 2003. Anagnostopoulos, G. C., I. Karanikola, and P. Marhavilas, Sources of Energetic (>50 keV) Ion Events Observed by Ulysses in the Jovian Magnetosheath, EGS-AGU-EUG Joint Assembly, Nice, France, 2003. Anagnostopoulos, G. C., I. Karanikola, M. Athanasiou, G. P. Pavlos, and P. Preka-Papadema, Quasi-Periodic Emissions (15-80 min.) from the Poles of Jupiter as a Principal Source of the Large Scale High Latitude Magnetopause Boundary Layer of Energetic Particles, 6th Hellenic Astronomical Conference, Athens, Greece, 2003. Karanikola, I., and G. C. Anagnostopoulos, The Large Scale Boundary Electron Layer and the ~10th Periodic Variation of Energetic Electron Data in the Dusk Jovian Magnetoshere, 6th Hellenic Astronomical Conference, Athens, Greece, 2003. Lario, D., Low-Energy Particle Response to CMEs at High Heliographic Latitudes, 2nd Elmau CME Workshop, 6-12 Feb., 2003. Malandraki, O. E., E. T. Sarris, P. Trochoutsos and G. Tsiropoula, Magnetic Topology of In and Out of Ecliptic ICME Events: ULYSSES/HI-SCALE and ACE/EPAM Energetic Particle Observations, 6th Hellenic Astronomical Society Conference, Athens, Greece, 2003. Marhavilas, P. K., G. C. Anagnostopoulos, and E. T. Sarris, On a Systematic Spectral Variation of Energetic Ions in the Jovian Magnetosphere: HISCALE/Ulysses Observations, EGS-AGU-EUG Joint Assembly, Nice, France, 2003. Anagnostopoulos, G. C., Large Scale Energetic Ion and Electron Boundary Layers in the Jovian Outer Magnetosphere, Euroconference: Jupiter after Galileo and Cassini, Lisbon, Portugal, 2002. Anagnostopoulos, G. C., and I. Karanikola, Sources of Energetic (>50 keV) Ion Events Observed by Ulysses in the Jovian Magnetosheath, Euroconference: Jupiter after Galileo and Cassini, Lisbon, Portugal, 2002. Anagnostopoulos, G. C., I. Karanikola, M. Athanasiou, and S. M. Krimigis, Quasi-periodic (10-80 min.) Temoral and spatial Variations of Energetic Particle Observations in the Jovian Magnetosphere, Euroconference: Jupiter after Galileo and Cassini, Lisbon, Portugal, 2002. Haggerty, D. K., GEANT4 at the Applied Physics Laboratory, GEANT4 Users Workshop, SLAC, Feb. 18-22, 2002. Haggerty, D. K., and E. C. Roelof, Electron Scattering in Solid State Detectors: GEANT4 Simulations, 34th COSPAR Scientific Assembly, Oct. 10-19, 2002. Lanzerotti, L. J., C. G. Maclennan, R. E. Gold, S. E. Hawkins, S. M. Krimigis, and D. Lario, Energetic Charged Particles in the 3-D Heliosphere at Solar Maximum, 34th COSPAR Scientific Assembly, 10-19 Oct., 2002. Lario, D., E. C. Roelof, R. B. Decker, and D. B. Reisenfeld, Ulysses Low-Energy Particle Observations Over the Solar Poles, 34th COSPAR Scientific Assembly, 10-19 Oct., 2002. Lario, D., and E. C. Roelof, Energetic H/He Intensity Ratio in the Heliosphere Under solar Minimum and Solar Maximum Conditions, 34th COSPAR Scientific Assembly, 10-19 Oct., 2002. Malandraki, O. E., P. Trochoutsos, and E. T. Sarris, Magnetic Topology of in- and out-of-the-ecliptic ICME Events: ULYSSES/HISCALE and ACE/EPAM Energetic Particle Observations, 34th COSPAR Scientific Assembly, 10-19 Oct., 2002. Marhavilas, P. K., E. T. Sarris, and G. C. Anagnostopoulos, Observations of Shock Acceleration Signatures by Ulysses, 34th COSPAR Scientific Assembly, 10-19 Oct., 2002. Marhavilas, P. K., I. Karanikola, G. C. Anagnostopoulos, and E. T. Sarris, On a Systematic Spectral Variation Variation of Energetic Ions in the Jovian Magnetosphere: Hiscale/Ulysses Observations, Euroconference: Jupiter after Galileo and Cassini, Lisbon, Portugal, 2002. Marhavilas, P. K., E. T. Sarris, G. C. Anagnostopoulos, and P. C. Trochoutsos, Solar Energetic Electrons Propagation in Converging Interplanetary Magnetic Structures by Ulysses, 34th COSPAR Scientific Assembly, 10-19 Oct., 2002. Marhavilas, P. K., E. T. Sarris, and G. C. Anagnostopoulos, Calculation of the Width L and Amplitude A of Shocks with Surface Ripples by Using Measurements of the Ulysses Spacecraft, 12th International Conf. on Mechan. in Medic. and Biol., Lemnos, 9-13 Sept., 2002. Marhavilas, P. K., E. T. Sarris, and G. C. Anagnostopoulos, Solar Energetic Electrons Propagation in Converging Interplanetary Magnetic Structures by Ulysses, 12th International Conf. on Mechan. in Medic. and Biol., Lemnos, 9-13 Sept., 2002. Lario, D., CMEs, Shocks and Solar Energetic Particles, Int'l Solar Cycle Studies, Solar Variability, Climate and Space Weather, 13-16 June, 2001. 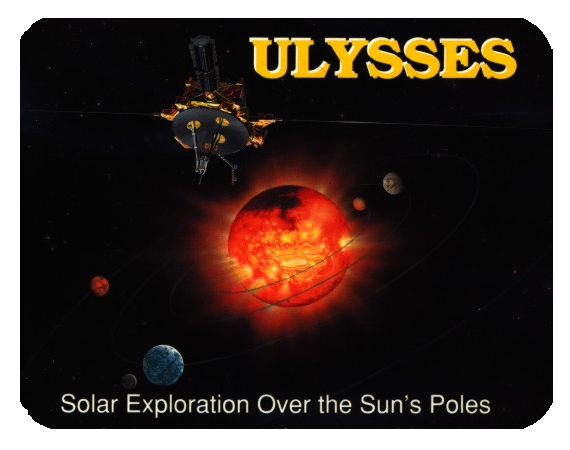 Lario, D., C. G. Maclennan, E. C. Roelof, S. E. Hawkins, G. C. Ho, and J. T. Gosling, Observations of the H/He Intensity Ratio During the Two Ulysses Fast Latitude Scans, Ulysses/Voyager/ACE Heliospheric Workshop, 15-19 Oct., 2001. Malandraki, O. E., and E. T. Sarris, Probing the Magnetic Topology of CMEs by Ulysses/HISCALE and ACE/EPAM Particle Observations in and out of the Ecliptic, European Geophysical Society General Assembly, Nice, France, 25-30 March, 2001. Anagnostopoulos, G., I. Karanikola, E. Sarris, N. Sidiropoulos, and A. Kouphoyannidis, Solar Composition of Magnetospheric Upstream Ion Events, 33rd COSPAR Scientific Assembly, Warsaw, Poland, 2000. Anagnostopoulos, G., I. Karanikola, and P. K. Marhavilas, Large Scale Energetic Particle Sheets in the High Latitude Jovian Magnetosphere, 33rd COSPAR Scientific Assembly, Warsaw, Poland, 2000. Anagnostopoulos, G., A. Aggelis, and P. Marhavilas, Energetic Ion (>~60 keV) and Electron (>~40 keV) Bursts Observed by Ulysses near Jupiter, 33rd COSPAR Scientific Assembly, Warsaw, Poland, 2000. Anagnostopoulos, G., P. Marhavilas, A. Anastasiadis, and I. Karanikola, Ion Acceleration at Three Dimensional Magnetohydrodynamic Shocks, 2nd Symposium on Applied Electromagnetism of Trans Black Sea Region, Xanthi, Greece, 2000. Anagnostopoulos, G., and I. Karanikola, Statistical and Multispacecraft Studies of Energetic (>50 keV) Particles in Earth's Magnetosheath, Meeting on Intercomparative Magnetosheath Studies, Antalya, Turkey, 2000. Anagnostopoulos, G., I. Karanikola, and A. Aggelis, Energetic Particle Populations Within Jupiter's Magnetosheath: Ulysses and Voyager-1/2 Observations, Meeting on Intercomparative Magnetosheath Studies, Antalya, Turkey, 2000. Hawkins, S. E., III, G. C. Ho, and E. C. Roelof, Comparison of >40 keV Electron Events at High and Low Heliolatitudes: Ulysses/HISCALE and ACE/EPAM, 34th ESLAB Symposium, 2000. Abstract. Hawkins, S. E., III, M. Pick, D. Maia, D. Patterson, and R. E. Gold, Origins of Anisotropic 40-300 keV Electron Events Observed at Low and High Latitudes, 34th ESLAB Symposium, 2000. Lanzerotti, L. J., S. M. Krimigis, R. E. Gold, R. B. Decker, E. C. Roelof, and S. E. Hawkins, Low Energy Particles in the Global Heliosphere 2001-2004: 1 AU to 90 AU, 34th ESLAB Symposium, 2000. Abstract. Lario, D., D. K. Haggerty, E. C. Roelof, S. J. Tappin, R. J. Forsyth, and J. T. Gosling, Joint Ulysses and ACE Observations of Solar Energetic Particle Events in February 1999 Related to the Same CME, 34th ESLAB Symposium, 2000. Abstract. Lario, D., E. C. Roelof, R. J. Forsyth, and J. T. Gosling, 26-Day Analysis of Energetic Ion Observations at High and Low Heliolatitudes: Ulysses and ACE, 34th ESLAB Symposium, 2000. Abstract. Maclennan, C. G., E. C. Roelof, L. J. Lanzerotti, and R. E. Gold, Spectra and distribution functions of heavy ions at high solar latitudes, 34th ESLAB Symposium, 2000. Malandraki, O. E., and E. T. Sarris, Tracing the Magnetic Topology of Coronal Mass Ejection Events by Ulysses/HISCALE and ACE/EPAM Energetic Particle Observations in and out of the Ecliptic, 34th ESLAB Symposium, Noordwijk, The Netherlands, 3-6 October, 2000. Abstract. Malandraki, O. E., E. T. Sarris, P. Trochoutsos, G. Tsiropoula, and M. Pick, Energetic Particles and Coronal Mass Ejections (Ulysses and Ace Observations), NATO Advanced Study Institute on Space Storms and Space Weather Hazards, Crete, Greece, 19-29 June, 2000. Ogilvie, K. W., and E. C. Roelof, Energetic (60 keV-5 MeV) Ions in Corotating Interaction Regions at Ulysses: 1992-1993 and 1999-2000, 34th ESLAB Symposium, 2000. Abstract. Pavlos, G., M. Athanasiu, G. Anagnostopoulos, and D. Sarafopoulos, Investigation of Chaoticity of Electrodynamical Phenomena in Planetary Magnetospheres: Earth and Jupiter Compared, 2nd Symposium on Applied Electromagnetism of Trans Black Sea Region, Xanthi, Greece, 2000. Pick, M., D. Maia, S. Edward Hawkins, and Sam Krucker, Solar Origin of Energetic Electron Events and Dynamical Behavior of the Corona, 34th ESLAB Symposium, 2000. Abstract. Roelof, E. C., The Roles of Field-Aligned Transport, Particle "Reservoirs," and Energy Loss in Controlling the Global Distribution of Solar Energetic Particles in the 3-D Heliosphere, 34th ESLAB Symposium, 2000.Abstract. Simnett, G., Energetic particle characteristics in the high-latitude heliosphere near solar maximum (invited), 34th ESLAB Symposium, 2000. Thomson, D. J., L. J. Lanzerotti, C. G. Maclennan, R. B. Decker, and R. E. Gold, The role of low frequency solar modes in organizing the heliosphere, 34th ESLAB Symposium, 2000. Thomson, D. J., L. J. Lanzerotti, C. G. Maclennan, and R. E. Gold, Ulysses/ACE particle coherences at high heliolatitudes, 34th ESLAB Symposium, 2000.